While snowstorms are unpredictable and it is impossible to know what each snow season will bring, proper preparation is essential to reduce the effects of a harsh winter season. Ensuring roads remain clear during snowstorms is critical to keep residents safe and commerce flowing during the winter months. Hilltip is a technological manufacturer specialized in maintenance equipment for light pickups, SUVs and trucks. 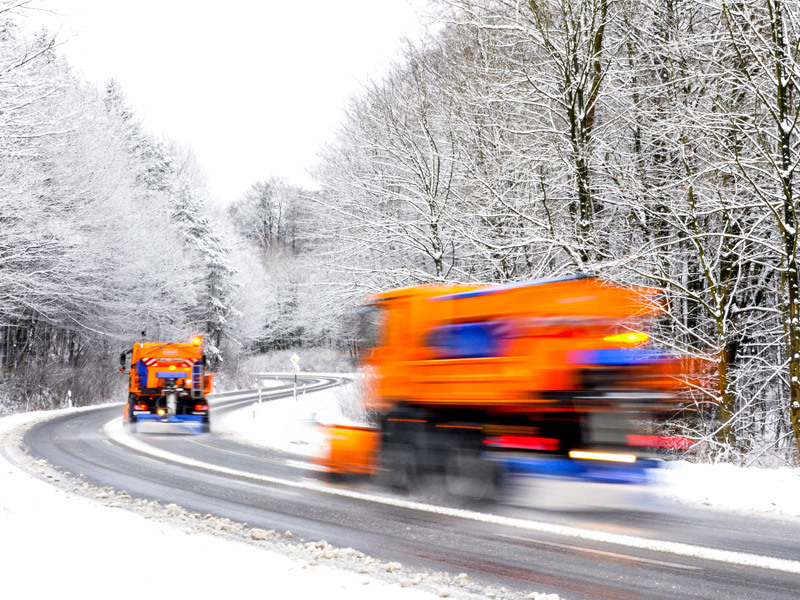 The Finnish weather and many years of experience have also made Hilltip experts in developing the most efficient and durable products for snow and ice control. Snowy season can be a stressful time, especially when snow takes over entire towns. Of course, not all countries are equally prepared when the big storms come, though. In Northern Europe, snow and cold weather are so commonplace that society is permanently ready to respond to snow, and their lifestyle is fully tailored to it. This is the case of Finland. The Finnish take cold weather and snow for granted. School isn’t cancelled because of freezing temperatures, people can still be seen outside, and they do not stop driving at the first sign of snow. Unlike Southern European countries, they are prepared for snow. All Finnish car owners, for example, are required by law to equip their cars with all-weather or winter tires, and they know to drive with extreme care as soon as the weather turns wintry. Which is no joke, since visibility drops drastically, roads are slippery, braking distances are longer, and driving in deep snow gives drivers less control over their vehicle. Unsurprisingly, therefore, Finland has a longstanding industrial tradition regarding snow and ice control devices. They also have a reputation for solid machine construction, and their approach to technology is always responsible and sustainable. This combination has led to specialization and innovation in the manufacture of quality engineering and technological products. Benefiting from this strong innovative environment, brothers Tom and Frank Mäenpää founded Hilltip in 2004. At first, they were purely an import business. However, very soon they realized there was a need for machinery that suited specific European conditions, and they began manufacturing and developing their own machines and tools. Asked by Ammattiautot, Hilltip Business Developer Manager Frank Mäenpää is convinced the success of the company lays precisely in designing and developing products to meet European needs, and that weight is the most significant difference compared to products made in North America: lighter equipment is needed here. Hilltip‘s extensive product range, entirely made in Jakobstad (Pietarsaari in Finnish), includes snowplows, spreaders, deicing sprayers, fertilizers, sweepers, pressure washers, and tracking systems. Hilltip snowplows are designed to be attached to the front of different vehicles, from pickups, to tractors, to small trucks. Their versatility helps users quickly clear their driveways and roads during snow events. Hilltip is a leading technology manufacturer of high-quality road maintenance equipment, paving ways worldwide. The Hilltip Straight blade snowplow, the first of its kind built in Europe, is a convenient on-and-off snowplow compatible with most pickups and SUVs on the market thanks to HillTip Quick Hitch mounts. Due to its high-strength steel curved, powder-coated snow blade, the snowplow is light but durable. It also presents an adjustable cutting edge, with the trip edge divided in two segments, allowing for the best snowplow protection on the market. An essential part of production is also car-specific fittings for connecting devices to cars. The goal for Hilltip is that as much as possible of the technology required by the accessories is on the device itself, making it possible to minimize car changes. For example, the hydraulics required by the plow and the necessary lamps are integrated into the device itself. All that is needed is the proper power supply and function control. Cleaners and solvent dispensers, which can also be combined, use a control device that can accurately recorded. The device stores information about where and how much of the solution or dry matter has been applied. Hilltip’s own design and production control is based on the use of CAN bus technology. Hilltip has adopted the CAN Bus technology in its equipment in order to standardize and secure communications. The introduction of the CAN bus technology in the automotive industry was driven by the growing number of components created for driver convenience and which needed to be connected, such as climate control, seat and mirror adjustment, electric windows, anti-theft systems, central light and locking mechanisms. The idea behind CAN bus technology is to allow the car parts to communicate with each other without a host computer. This technology allows car users, dealers and manufacturers to make changes to the vehicle without changing any mechanical parts. Hilltip will continue developing new features for current products as well as new products that will help users and contractors become more cost effective. 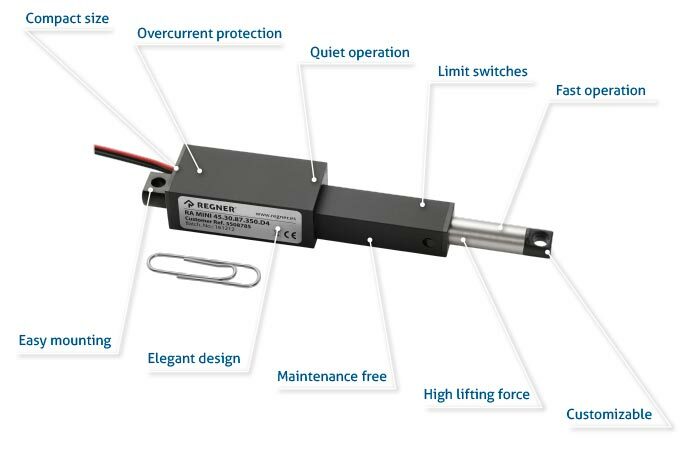 They are currently developing a new solution which uses the RA-Mini actuator, a perfect fit for a robust application. More details are to be unveiled soon as it is just about to be launched.